You can go ahead and call them Pumpkin Pancakes if you want, but I'm gonna go ahead and be a dork and call them Pankin Pumpcakes. 1. In a medium size bowl whisk together the flour, sugar, baking powder, pumpkin pie spice, and salt. 2. In a small bowl, whisk together the milk, pumpkin puree, oil, applesauce, and vanilla. 3. Without overmixing, fold the liquid ingredient mix into the dry ingredient mix. 4. Lightly coat a nonstick skillet with cooking spray and preheat over medium heat. 5. Scop about 1/4 cup of the batter onto the skillet and cook until the bottom is golden brown. Flip the pancake over and cook until the other side turns golden brown. Repeat with the rest of the batter. This recipe makes 8 to 10 little 4 inch pancakes, depending on how much batter you scoop per pancake. We had the Pankin Pumpcakes for lunch, and potato pancakes for dinner along with some veggies and TVP nuggets. The potato pancakes were so easy to make and so delicious! The tasty recipe was courtesy of Vegan Tickles. And now, changing the subject abruptly, here's the cutest little tree-hugger in the world! 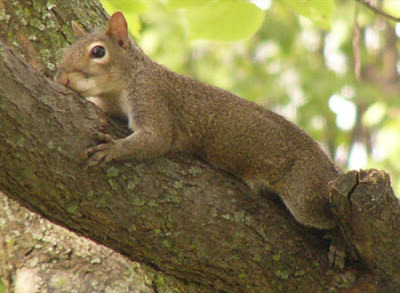 This squirrel loves to rest on our tree, always on the same spot and always in the same position hugging the tree. Here it even looks like she's kissing the tree! So cute! 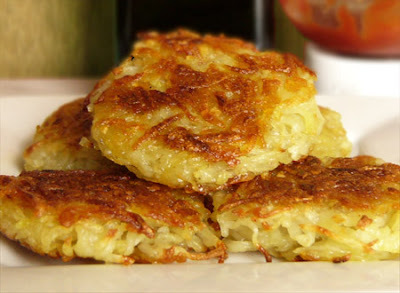 Mmm, love the potato pancakes as well!! I thought you had a photo of my daughter, who is often referred to as a Tree Hugger. River I got some killer pancake recipes over at my Cooking Lady blog, go check them out. I signed on with this account so you can view my daughters blog. See my blogs I read? Hers is Trees are for Hugging. The girl has a gift for writing. Did I mention that I love pancakes....all pancakes. Cooking Lady, I checked out your daughter's blog and she really does have a gift for writing! She's a real life Rory! 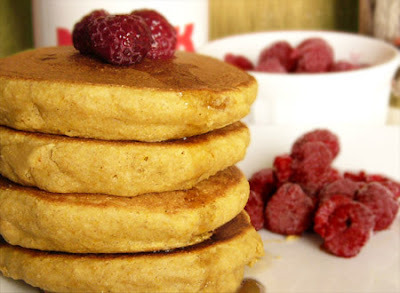 Those oatmeal pancakes on your blog look really good. I'll have to make them next time we want pancakes! those pancakes look seriously good! both sets. River, those pancakes look delicious. 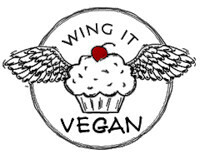 If you're in the St. Louis area and are interested, you can contact Alanna at A Veggie Venture(link on my blog) and she'll include you in her listing of local food bloggers. It would be great to have another vegan blogger in the area. Actually, even a vegan non-blogger in the area would be great. Thanks, Lisa! I am in St. Charles and I actually got the idea for mini pumpkin pancakes from the Everybody Cooks magazine at Dierbegs! Of course theirs have all kinds of eggs and buttermilk. Thanks for the link to Alanna's blog! And yes those were sesame seeds on top of the mole skillet. they look so thick, delicious, and perfect! I want. It turns out that these are great toasted straight from the freezer as well. I will probably double the recipe next time so I can just pop a couple of frozen pancakes in the toaster whenever I'm hungry for them! They are kind of "waffly" when they are frozen and then toasted. 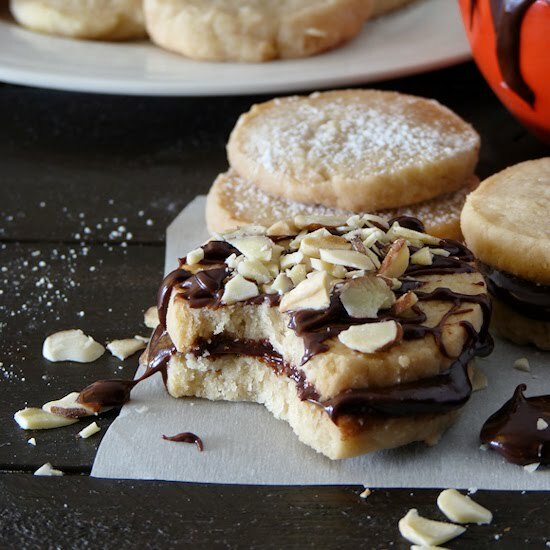 I made these for breakfast this morning and they were the best! Thank you so much for the recipe!